There’s another side to Alan Mushroom Kapuler that may surprise you. He’s also a modern artist who has been diligently painting for almost 50 years. 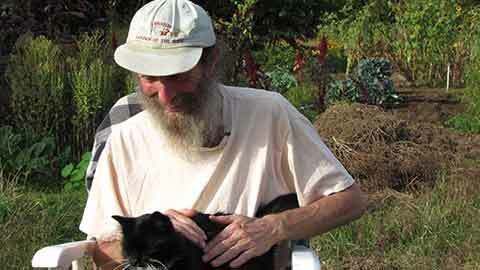 Alan Kapuler, founder of Peace Seeds, and former research director for Seeds of Change shares his unique perspective on life and agriculture. Alan Kapuler and his love of the garden and what it truly represents to him.